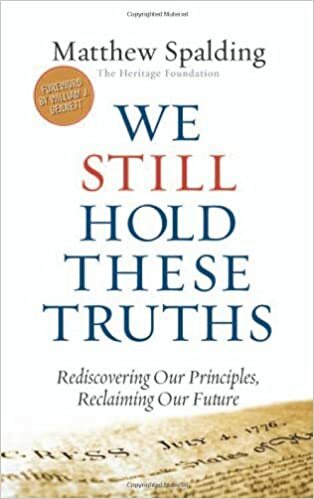 We Still Hold These Truths is essentially a primer on the intellectual basis for America’s founding, and a history of how we got where we are today. In ends with a guide to where the country needs to go from here. Written before the latest tragic rulings by the Supreme Court, it is nonetheless timely. Well researched and written, it provides vivid details while not becoming so esoteric as to lose the more casual reader. A good book for home schoolers and anyone needing an introduction or just a refresher on the foundations of the American Republic. In one spot one will find the words United States used in place of the Federal Government, which the book painstakingly shows are not one in the same. While not a major grammatical error, the newly initiated into realm of American political history should be aware of it. All in all a good read.